All charges laid against a Brampton, Ont. medical supply owner and two occupational therapists involved in an alleged electronic scooter fraud have been withdrawn. The Crown withdrew charges of fraud over $5,000 and submitting a forged document against Faisal Minhas, 46, earlier this month. 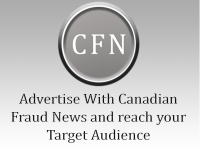 Fraud-related charges were also dropped against occupational therapist Vajira Wijekoon, 57, of Mississauga and against occupational therapist Vinita Tandon, 41, of Brampton. Minhas was accused of defrauding the health ministry’s Assisted Devices Program (ADP) of $227,000 in funding for electric scooters. The OPP began their investigation in 2014 after the Ontario Ministry of Health and Long-term Care filed a complaint.